PHILADELPHIA–What if love and kindness could spread like a virus? 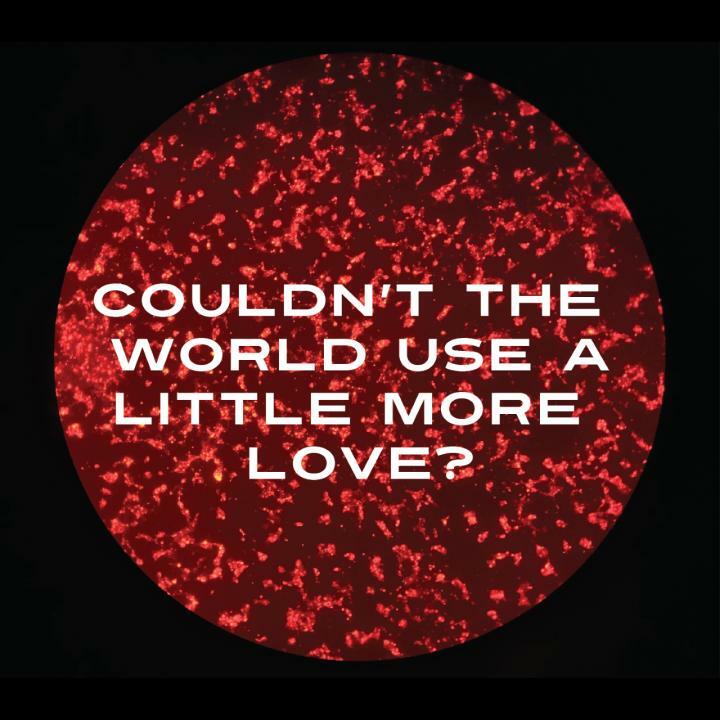 As part of the University City Science Center’s BioArt Residency, artist Heather Dewey-Hagborg created a custom virus able to increase the production of oxytocin, a hormone that induces feelings of love, kindness, and empathy. The project, titled Lovesick, was developed by Dewey-Hagborg in collaboration with research scientists at the University City Science Center and uCity Square-based biotech company Integral Molecular. The BioArt Residency program fosters collaboration between artists and scientists within a controlled environment. Not only does it allow both parties to gain new perspectives, but artists are able to serve as intermediaries communicating and creating dialog around complex scientific issues. As part of each residency, the artist spends three months working on creative research projects in Integral Molecular’s laboratories leveraging the guidance and expertise of trained scientists. The work by Dewey-Hagborg is envisioned as an activist intervention, to spread love and kindness and to combat the alienation and disconnection of the present. Echoing recent debates around genetic editing and the role of ethics in science, Lovesick amplifies the dialog around the possibility of selecting one’s emotions through biotechnology. Although the Lovesick virus has the ability to function in cells in a lab environment, it cannot replicate and will not be used to infect actual animals or people. “Lovesick plays poetically on the idea of romantic infatuation as a virus, and the process of moving on as building up antibodies. Lovesick examines desire and intimacy in a ubiquitous genomic future where biotechnology is inexpensive and accessible,” says Dewey-Hagborg, who will discuss the project at the February 21 Venture Café Philadelphia Thursday Gathering. The project involved creating a virus that expresses the hormone oxytocin. Commonly referred to as the “Love Hormone,” oxytocin is associated with feelings of love, bonding, devotion, kindness, and the promotion of empathy, monogamy, and connection. The virus is based on a harmless, non-replicating virus vector that is safely used in hundreds of labs worldwide. After entering a cell and delivering the oxytocin-producing gene, the virus also expresses a fluorescent protein called dsRED that causes the cells to glow bright red. Integral Molecular is the industry leader in membrane protein antibody discovery, with a pipeline of therapeutic antibodies against GPCRs, ion channels, transporters, and immuno-oncology targets. The company currently has therapeutic programs focused on cancer, pain, immunity, and metabolic disorders.